Three-time WorldSBK Champion Jonathan Rea will publish his autobiography in October, probably just in time for a fourth title. The Castletown resident has teamed up with former Honda PR man and general good egg Steve Booth to put his career to date on to the page, in the book entitled: Dream. Believe. Achieve. This weekend’s Donington round could see Rea surpass Carl Fogarty’s all-time series win record and with a 47-point lead, Rea is likely to wrap up a fourth title which would also equal the record set by the Blackburn rider. The book will chart the life and career of a man who was seemingly destined for the motorbike racing world. Jonathan’s grandfather was the first sponsor of 5 Times World Champion Joey Dunlop and his dad was a former Isle of Man TT winner. He has succeeded in Superbikes after several potential career-ending scrapes including smashing his femur in a horrific crash, aged seventeen, when doctors told him he would never race again. With unwavering determination, and gaining huge victories in this ultra-competitive sport, this thrilling autobiography will get into the head of a man who has managed to rise to the top of one of the most skilled and dangerous sports in the world. “I am really looking forward to working with HarperCollins. The team has been very supportive of me and my co-author, and long-time friend, Steve Booth. 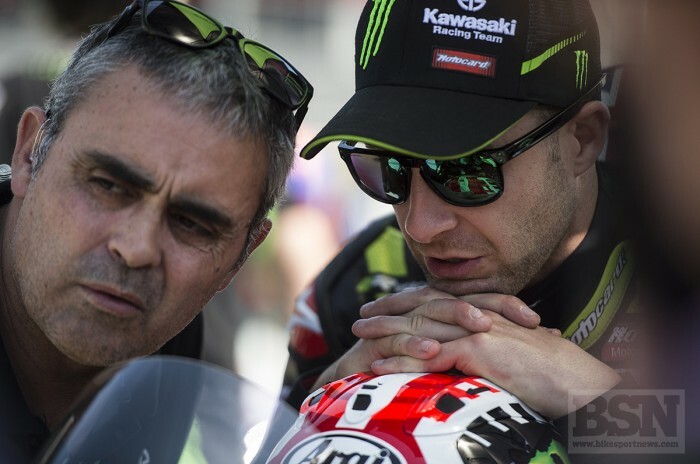 It’s only now when I recall the last few decades with him I realise the incredibly special journey I am on and those who’ve been part it,” said Rea.